Info:This is an example of the packing that a four pack of Yazoo drinks came in, with the Yazoo Yammies offer printed on the packet. 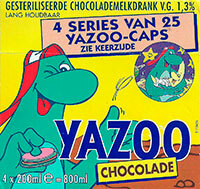 Yazoo was a sweet flavoured milk drink. Egypt; Jungle; Space; and Sea World. You had to collect 12 tokens for each set. A four pack of 200ml bottles gave you 2 tokens, a one litre bottle gave you 2 tokens, and a 500ml bottle gave 1 token. 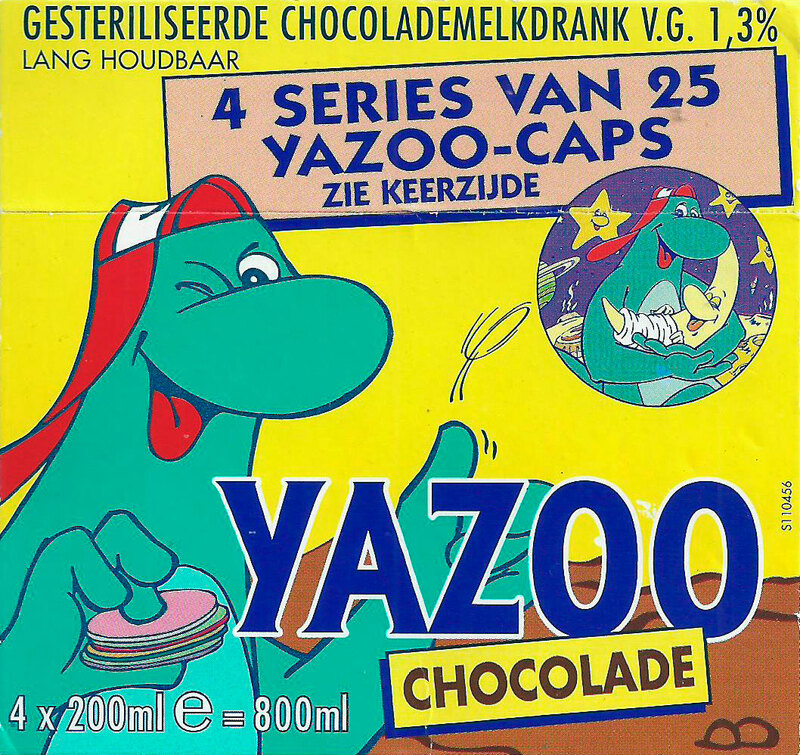 So you could get all four sets by drinking 48 litres of Yazoo from the larger bottles, or by drinking 192 of the 200ml bottles. Thanks to Vincent and for the UK box scans and to Klaas for the Netherlands box scan.